1.1 These Terms and Conditions govern the supply of goods sold by Taskers UK Ltd of Roman Ridge Road, Sheffield, UK. ("we" and "us") to the customer ("you") and constitute the entire and only agreement between us in relation thereto. 2.1 The price payable for the goods you order is as set out on our web site at the time you place your order plus any charges for delivery as set out in the order form. 2.2 Occasionally an error may occur with our web site and goods may be incorrectly priced in which circumstances we will not be obliged to supply the goods at the incorrect price. 2.3 We must receive payment for the whole of the price of the goods you order, and any applicable charges for delivery, before your order can be processed unless we have agreed otherwise in advance in writing. 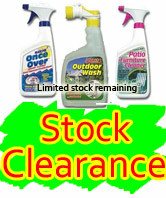 2.4 All prices shown are excluding Value Added Tax, VAT will be added at the checkout. 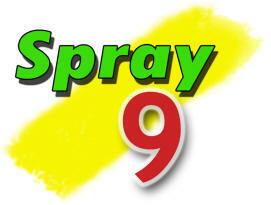 3.1 We can only deliver and sell Spray 9 products from this site to addresses in the UK. Orders placed with delivery to non UK addresses, will not be honoured and are subject to a cancelation charge proportionate to the processing fee charge by our payment handler, PayPal. 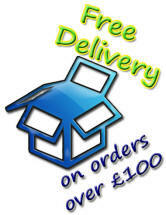 If you require delivery to a non UK Address, please contact us to discuss viable alternatives. 3.2 We will deliver the goods in accordance with your order usually within 7 - 14 days but certainly within 30 days, we will notify you if this time scale will be exceeded. In the unlikely event that we do not make the goods available to you within 30 days of accepting your order you will have the option of cancelling your order by notifying us accordingly prior to delivery. A valid signature will be required on collection or delivery. In the unlikely event that you have not received all the goods within the stated delivery time, you must notify us immediately. 4.1 While we endeavour to hold sufficient stock to meet all orders, if we have insufficient stock to supply or deliver the goods ordered and paid for by you, we may supply or deliver a substituted product or refund you the price paid for such goods as soon as possible and in any case within 30 days or, in the case of an account customer, we may, in our absolute discretion, as soon as possible raise a credit to offset the amount invoiced to you. 5.1 You may cancel your order by the PayPal interface notice of cancellation within 7 days of the date of your order. Such notice may also be given by phone, mail, fax or email. If you are cancelling because of any problem with the goods, please notify us of the problem at the time of cancellation. 5.2 On returning for whatever reason, you must return the goods to us at your cost unless we agree that you may dispose of them in which case please comply with the manufacturer’s instructions before disposing of hazardous goods. Where the goods are being returned because they are faulty, incorrect goods or because of unsuitable substitution by us, we will meet the cost of return but we ask that you allow us to nominate the carrier. Once the product(s) have been received by us, your payment will be returned. This is inline with the UK distance selling regulations. 6.1 If any part of these conditions is invalid, illegal or unenforceable (including any provision in which we exclude our liability to you) the validity, legality or enforceability of any other part of these conditions will not be affected. This contract shall be governed by and interpreted in accordance with English law. This store can only deliver to the UK Mainland. Orders with non UK addresses will be refunded, minus PayPal processing charge. © Copyright Taskers UK Ltd.